Great news. 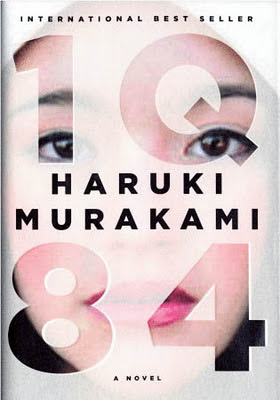 I was hoping that Murakami's newest would live up to all the hype. I can't wait to see how he handled all the parallel time streams. It's a challenge I'm currently facing, and it would be helpful to see how such a master handles it. I'll have to pick up a copy pronto. Liviu,thanks for the review,will definitely be reading this ASAP. If u are thinking of reading another Murakami book whenever u have the time to do so,then may i recommend 'Kafka on the Shore' (World Fantasy Award),i think u will like the fantastical/metaphysical elements of the book along with a dash of suspense although the plot can get confusing at times.In the end it is a rewarding book,hope u will enjoy it as much as i did. Thank you for the kind words; I was wondering which book of Murakami to read next and i think Kafka on the Shore is a great choice. Q is not for question mark - it is an apparently common pun on the japanese word for 9, which is "kyu"